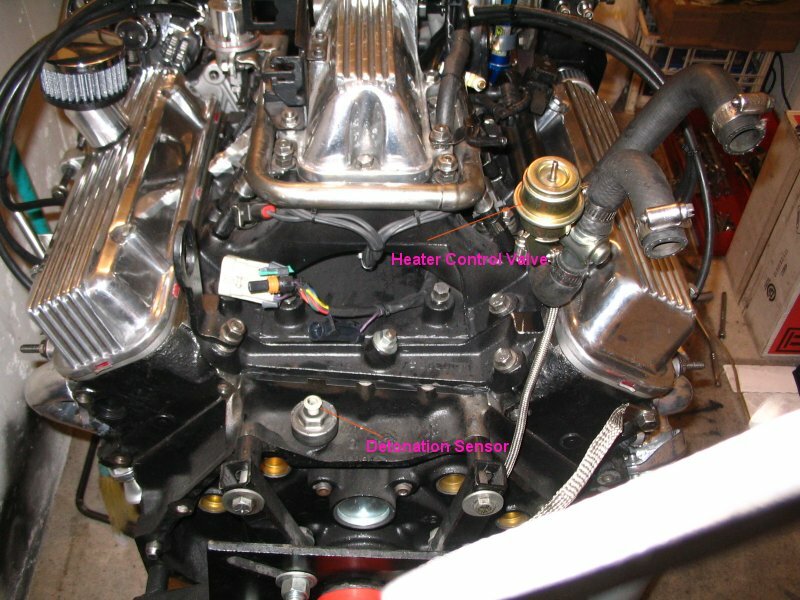 Below are some pictures provided by Just a Six (David) of his engine on the stand. I have used them to show some sensor and component locations. 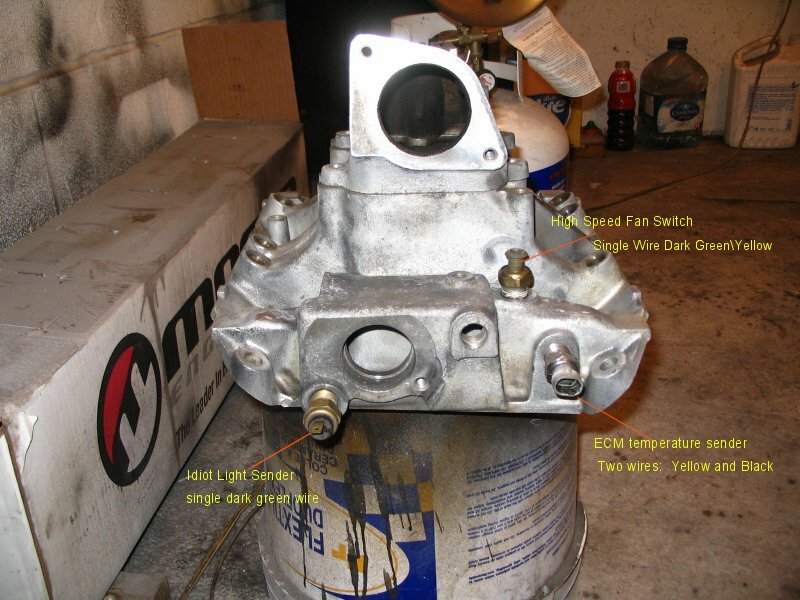 For more information, go to the homepage and click on the Engine Description Manual on the left side of the page. 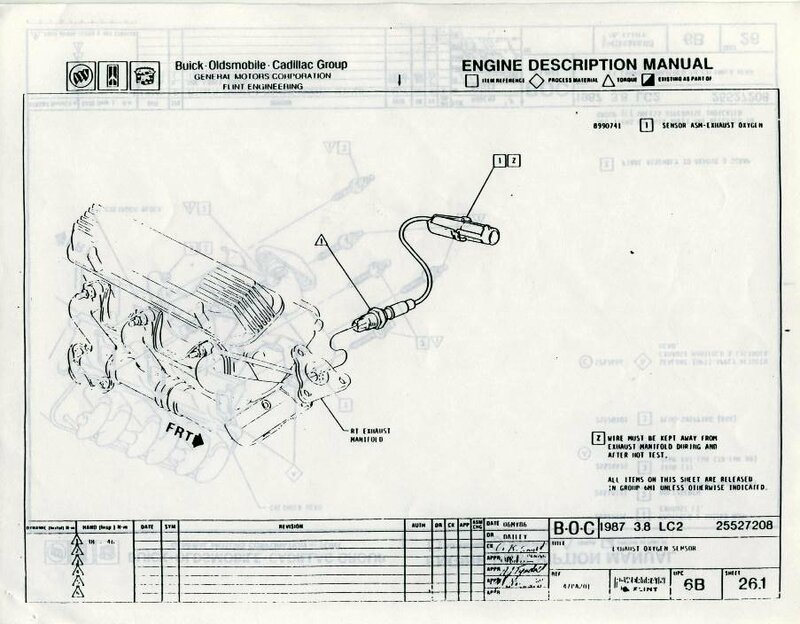 These are drawings from the factory manual that show everything bolted to the engine. Note that the Idiot light sender is the one on the passenger side of the intake. An aftermarket sender can replace this one, or Teed in here if desired. I believe the driver's side of the block also has a plug into the water jacket that may be removed and a sender installed there if one wishes to use both the light and a gauge without using a Tee in the front. Throttle Position Sensor mounted on the throttlebody. Be sure to engage the lever from the throttlebody with the arm on the sensor so it is moved as the throttle opens. Do not over tighten the IAC Sensor as the housing may crack. Just snug it down against the gasket so there is no air leak around it. The thermostat housing is sealed with an O-Ring. It may take a lot of wiggling to get it out if it has not been removed lately. Not a bad idea to have a new housing when the thermostat is replaced in this case. Use some grease on the O-Ring on reinstall to make it easier next time. Cam Sensor install is covered under the Tech Pics section. 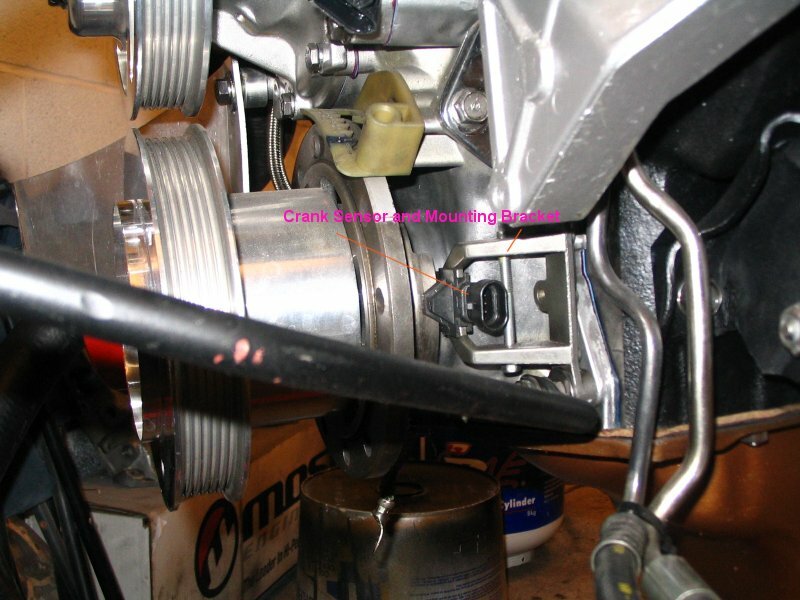 Be sure to adjust the crank sensor as per the instructions in the Tech Pics section. Do not over tighten the Detonation Sensor. 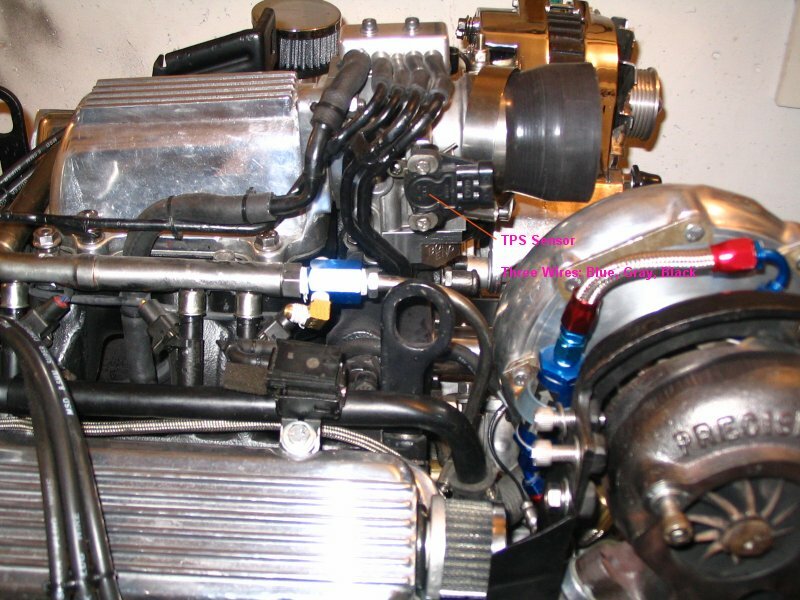 See the Engine Specs section for details...not much more than hand tight. 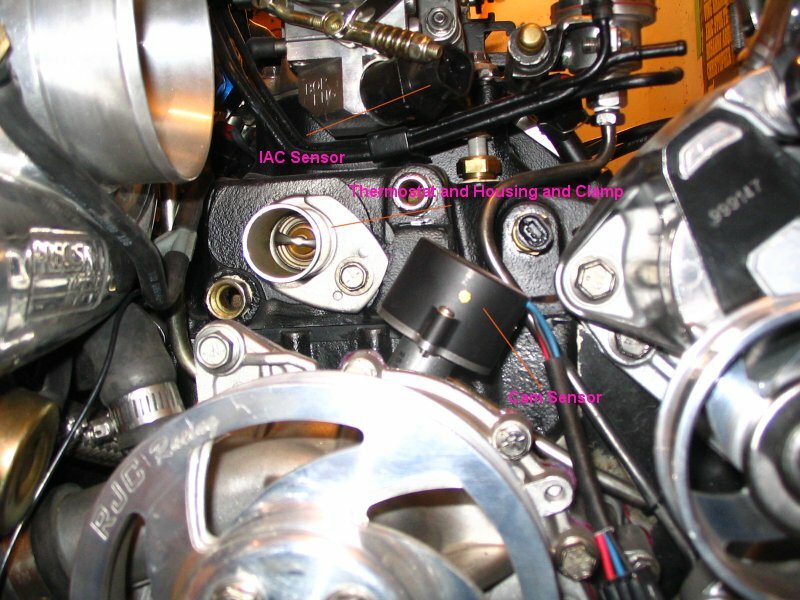 The Oxygen Sensor is mounted just below the turbo and points back toward the driver's side. I use a 22mm box end (think a 7/8" will also work) after removing the turbo shield. Unplug the purple wire coming out of it and slip the wire thru the wrench. It is a bit tedious, but not that hard to do. If it has not been out in a long time, it may come out easier on a hot engine. Don't burn yourself. Use a little anti-seize if the new one does not have something on it out of the box.